Big Rig Alignment is a world leader in planning, design, installation, and training for the OEM heavy-duty wheel alignment industry. 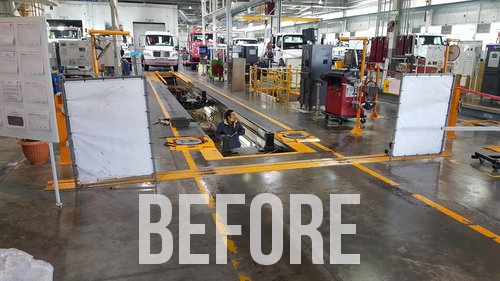 Whether you’re manufacturing trucks, tractors, buses, coaches, rolling chassis, or trailers we can help you align the vehicle better, faster, and cheaper. We not only deal with the End-of-Line process, but we can work with you to make sure that the pre-alignment of spring hangers is correct. We can help axle manufacturers pre-set toe on steer axles with a high degree of accuracy and check drive axles for reasonable toe and camber values. Whatever your pre-line, in-line, and end-of-line needs are, Big Rig can meet them.